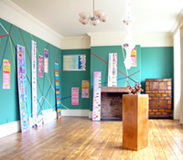 This is the last Day-to-Day Data update, before the exhibition draws to a close at the end of April. See below for details of the forthcoming gallery talk, new updates to the website and current press features. Just 3 more weekends left to see the show! 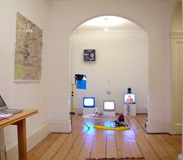 The Day-to-Day Data exhibition continues at Danielle Arnaud contemporary art, London until 23 April 2006. Join Abigail Reynolds, Ellie Harrison, Helen Frosi and Cleo Broda in the gallery for talks and discussion about the ideas behind their work in the exhibition. Booking is essential. Please call 020 7735 8292 or email danielle@daniellearnaud.com to book a place. 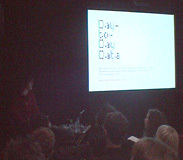 The Day-to-Day Data Symposium took place at the ICA, London on 18 March 2006. It is now possible to listen to the presentations by Abigail Reynolds, Adele Prince, Ellie Harrison, Richard Dedomenici and Tony Kemplen and the subsequent discussions atthe Day-to-Day Data website. Don't miss Martin Herbert's review of the Day-to-Day Data exhibition at Danielle Arnaud contemporary art in this week's Time Out London magazine. The Day-to-Day Data project is discussed alongside 'Making History' (the exhibition currently showing at Tate Liverpool) in David Briers' feature 'Insignificance' in this month's Art Monthly.